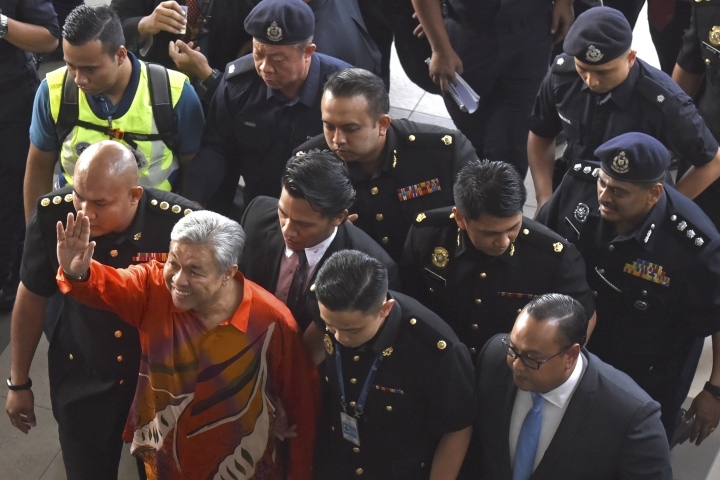 KUALA LUMPUR, Malaysia — Malaysia's former deputy prime minister was charged Friday with abuse of power, corruption and money laundering involving millions of dollars in another graft investigation against leaders ousted in elections earlier this year. 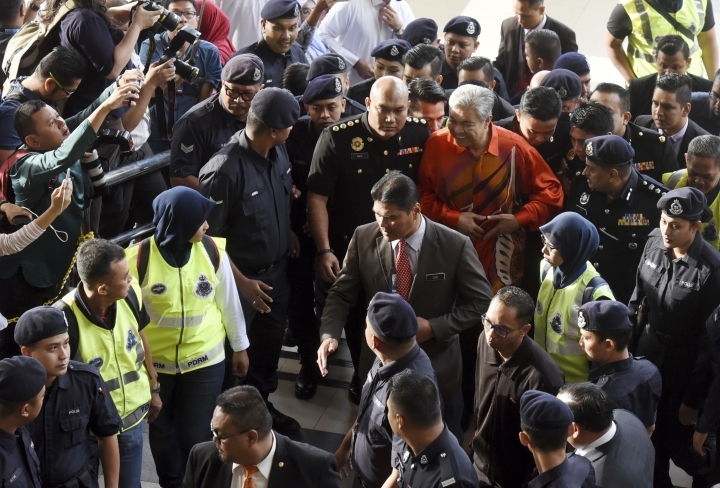 Ahmad Zahid Hamidi, who now leads the opposition after his party was defeated in the May general elections, was brought to court a day after he was detained by the anti-graft agency. Zahid pleaded not guilty to 10 counts of criminal breach of trust involving nearly 21 million ringgit ($5 million) in his family-run welfare group, eight counts of abusing power as home minister to receive bribes worth over 21 million ringgit for various projects including the supply of passport chips, and another 27 counts of laundering about 72 million ringgit ($17.3 million). 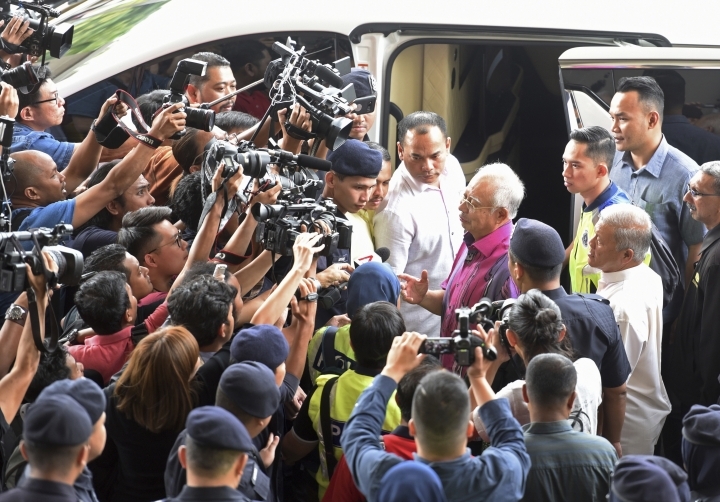 Former Prime Minister Najib Razak, who along with his wife was also charged with graft after the elections, appeared in court to support his former deputy. Zahid took over as president of the United Malays National Organization, or UMNO, after Najib stepped down following their coalition's defeat for the first time since independence from Britain in 1957. 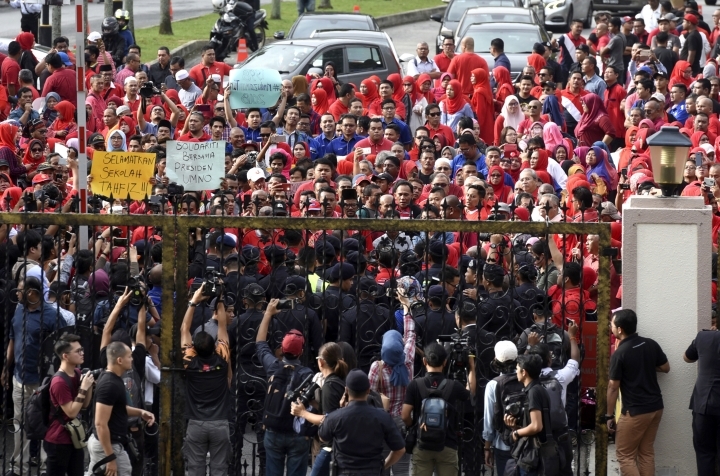 Dozens of UMNO members rallied outside the court complex, slamming the charges as politically motivated. They carried placards accusing the new government of adopting a "rule of the jungle" in an attempt to cripple the party. UMNO was the linchpin of the former ruling alliance, which has since disbanded, but the party still holds about a fifth of parliamentary seats. Zahid, 65, was freed after posting bail. He told supporters that he considered the 45 charges against him as a "test from Allah." He indicated most of the money was meant for charity such as to build orphanages, mosques and other welfare programs, and that he will clear his name in court. "Whatever the public opinion is, I leave it to Allah to decide. Allah willing, with all the good things I have done with the intention of upholding Allah's religion, I hope Allah will protect me," Zahid said. Each of the charges against him carries a prison term of up to 20 years, plus heavy fines. His daughter, Nurulhidayah Ahmad Zahid, has called her father a "target of cruel injustice" under the new government. Two public listed companies implicated in the charges issued denials after prices of their shares plunged Friday. Datasonic Group Berhad said in a statement that neither the company nor any of its directors paid any bribe to Zahid to supply biodata chips for Malaysian passports, adding that it won the contract by offering the best pricing through an open tender. MyEG Services Sendirian Berhad said separately it has no knowledge of the person and company that allegedly paid Zahid millions in bribes to secure projects from MyEG, a provider of online government services. It said it was not privy to their alleged dealings with Zahid. Trading of MyEG shares were halted Friday afternoon on the company's request. 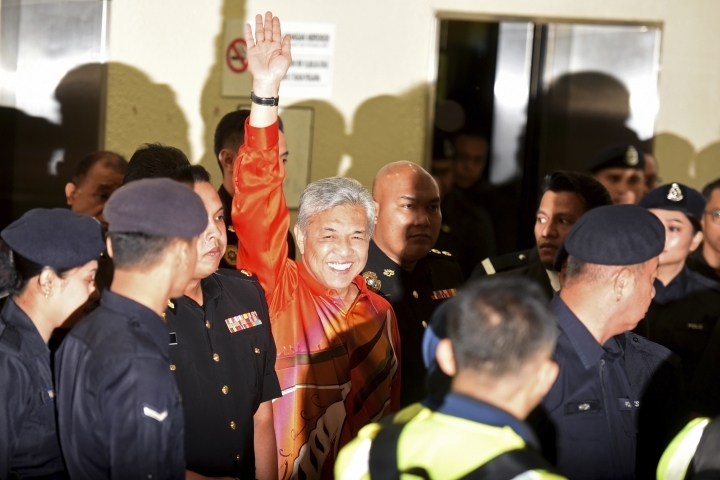 The charges against Zahid are not related to the multibillion-dollar looting of the 1MDB state investment fund that led to his coalition's shocking loss. Najib and his wife, Rosmah Mansor, were charged earlier with multiple counts of corruption and money laundering linked to the 1MDB scandal. The fund, set up by Najib, is being investigated in the U.S. and several other countries. 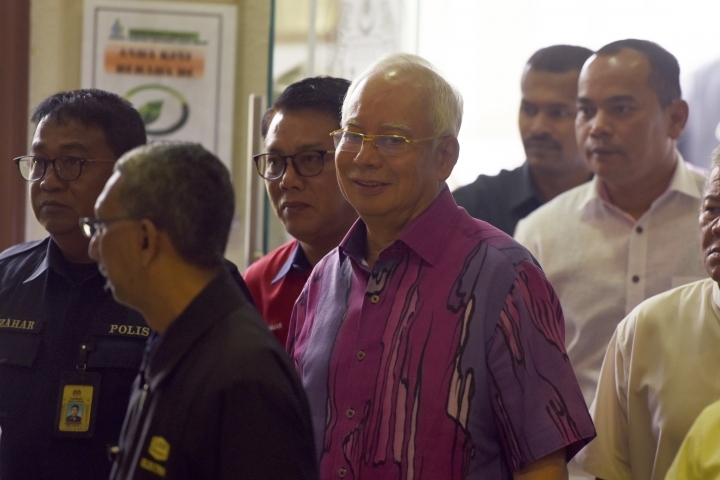 They have both denied any wrongdoing and Najib's trial is to start next year.